very unforgettable trip especially the close encounter with the giraffe and other animals. we had fun with the tiger show. Get up close and personal with zebras, giraffes, red kangaroos and other African animals on a tram ride after dusk has fallen. The fully enclosed tram ride with dim yellow lights is fully safe for you and allows the animals to venture right up to the vehicle. The tour lasts around an hour and it is an absolutely thrilling experience to witness predators like the lion, spotted hyena and white tiger in their natural environment. 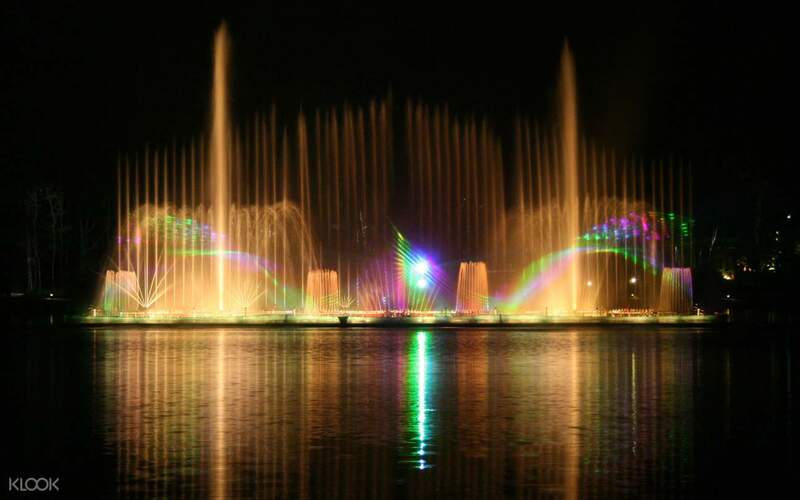 Don't miss out on the chance to spot over 130 species of animals at the night safari. 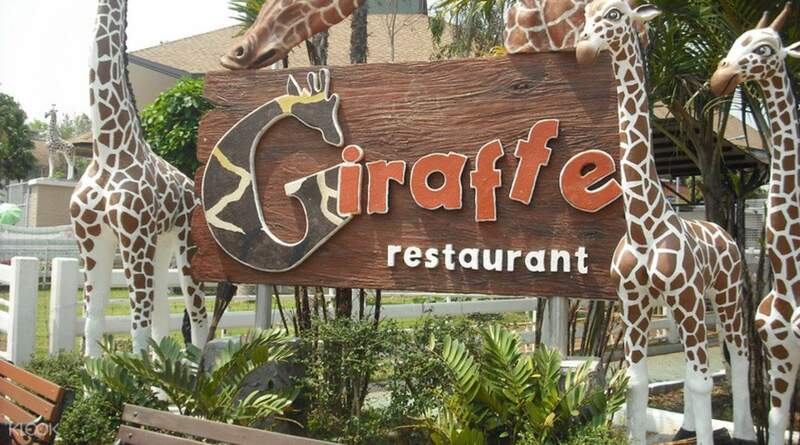 If you're hungry from all the animal watching, get some scrumptious meals from Giraffe Restaurant! 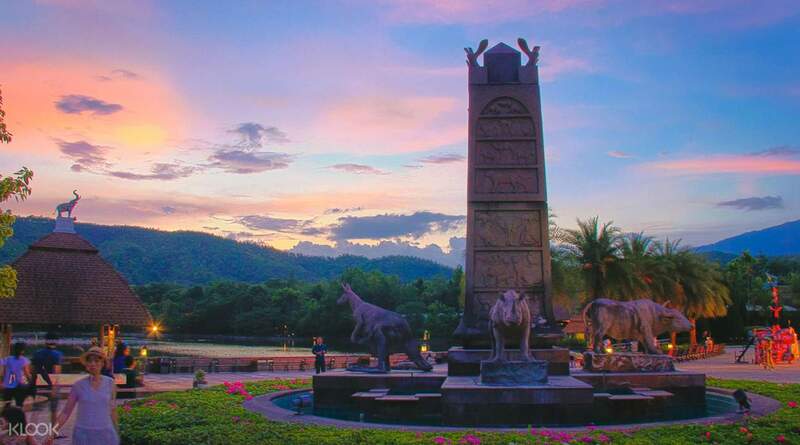 3:00pm-4:30pm arrive at Chiang Mai Night Safari and walk around the park. Nice place to visit, especially with family members together. It’s convenient to catch up with the Klook Team in Maya Mall. The tour guide was nice that she would plan the schedule in taking the train and watched the animal show. Overall it’s enjoyable in joining the tour in our Chiangmai Trip. Nice place to visit, especially with family members together. It’s convenient to catch up with the Klook Team in Maya Mall. The tour guide was nice that she would plan the schedule in taking the train and watched the animal show. Overall it’s enjoyable in joining the tour in our Chiangmai Trip. 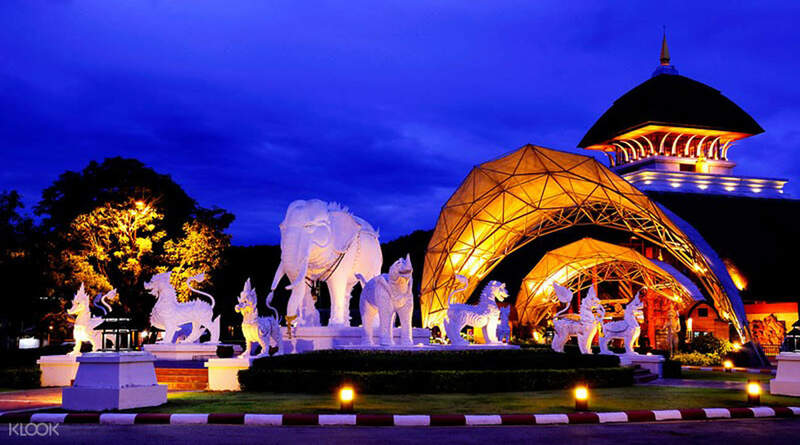 Our trip to Chiang Mai Night Safari is one of a kind. I was so amazed to see the real flamingo! im in love with them. The dinner buffet is a blast. i love all the food selections. i will recommend this to my friends. 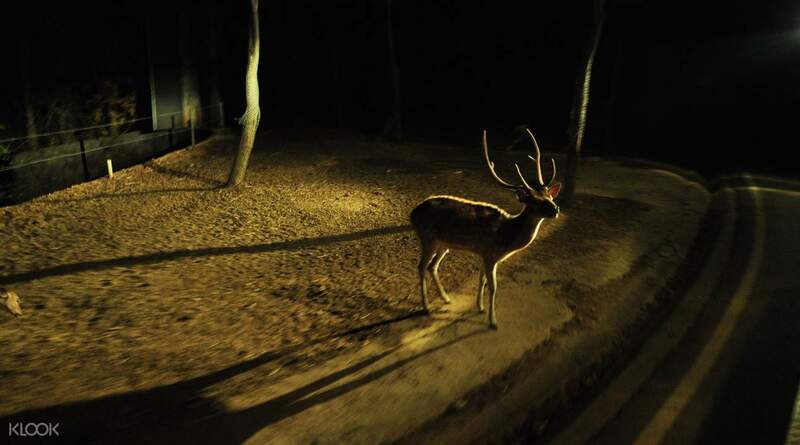 Our trip to Chiang Mai Night Safari is one of a kind. I was so amazed to see the real flamingo! im in love with them. The dinner buffet is a blast. i love all the food selections. i will recommend this to my friends. First time using Klook for the package to Chiang Mai Night Safari. It was easy and no hassle. Within minutes of booking the package (hotel round trip transfer, admission and shows), Klook sent me an email and provided added details. I liked that it was a same day booking and the price that Klook provided was truly a good deal. The van pick up was on time (2 min early) And we stopped at one additional hotel. The van was spacious and clean. Hotel to the safari was only 30min as stated. The pick up was 3min early and we got back to the hotel by 8:20pm. Excellent partnership with the local company that arranged the pick up. Thank you Klook! Will continue to utilise your deals in my travels. First time using Klook for the package to Chiang Mai Night Safari. It was easy and no hassle. Within minutes of booking the package (hotel round trip transfer, admission and shows), Klook sent me an email and provided added details. I liked that it was a same day booking and the price that Klook provided was truly a good deal. The van pick up was on time (2 min early) And we stopped at one additional hotel. The van was spacious and clean. Hotel to the safari was only 30min as stated. The pick up was 3min early and we got back to the hotel by 8:20pm. Excellent partnership with the local company that arranged the pick up. Thank you Klook! Will continue to utilise your deals in my travels. definitely worth while going !! lots of animals to see. fair enough, the place is not super clean and well maintained but at least the animals are treated well. the whole park is not super spacious, we arrived at 4:20 and literally just managed everything we wanted to see by 8. definitely worth while going !! lots of animals to see. fair enough, the place is not super clean and well maintained but at least the animals are treated well. the whole park is not super spacious, we arrived at 4:20 and literally just managed everything we wanted to see by 8. Fun and enjoy with many kinds of animal, especially seeing the animals in night that was so impressed experience for me. Also staff here in Thailand took care of us as well, kind and polite. He picked us up and sent back on the time. Nice moments with my sis here. Fun and enjoy with many kinds of animal, especially seeing the animals in night that was so impressed experience for me. Also staff here in Thailand took care of us as well, kind and polite. He picked us up and sent back on the time. Nice moments with my sis here. This is one of the best Zoo experiences my family had. Lots of animal to see and there is photographs session at night nearby the main entrance where they do not tell you how much to pay but you pay the amount you like which I find very kind and generous- this would cost easily USD 4-5 at other tourist attraction. Do not forget there are 2 parts of safari experience (different kind of animal) at different direction from the main entrance (left and right). This is one of the best Zoo experiences my family had. Lots of animal to see and there is photographs session at night nearby the main entrance where they do not tell you how much to pay but you pay the amount you like which I find very kind and generous- this would cost easily USD 4-5 at other tourist attraction. Do not forget there are 2 parts of safari experience (different kind of animal) at different direction from the main entrance (left and right). It's worth to go. We went there at 5pm and left around 8pm. First, we walked the walking trail and then watched the tiger Show at 6pm. After the show, we took the tram to see animals. You can have very close interaction with certain kinds of animals. The head of Giraffes came into the tram and tried to eat the food. Our kids had so much fun in this Safari. It's worth to go. We went there at 5pm and left around 8pm. First, we walked the walking trail and then watched the tiger Show at 6pm. After the show, we took the tram to see animals. You can have very close interaction with certain kinds of animals. The head of Giraffes came into the tram and tried to eat the food. Our kids had so much fun in this Safari. Excluding the transport time, I had less than 3 hours in the safari. Though I did not have time to explore the whole safari, I enjoyed it very much. Visitors are suggested to plan what show to watch or train to take in order to make the most of their journey! Excluding the transport time, I had less than 3 hours in the safari. Though I did not have time to explore the whole safari, I enjoyed it very much. Visitors are suggested to plan what show to watch or train to take in order to make the most of their journey! 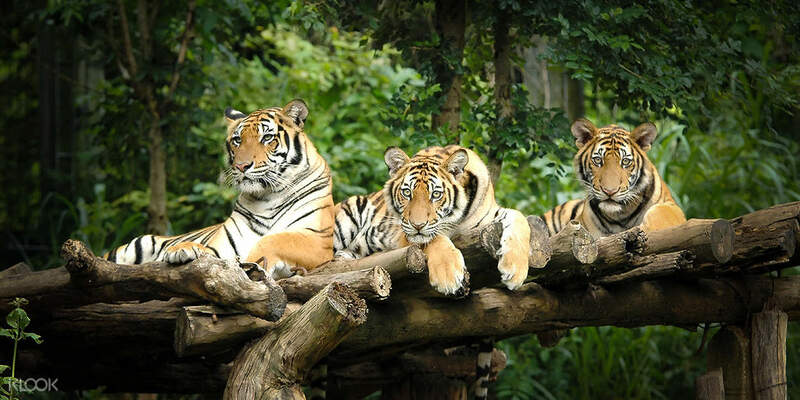 A great zoo and experience that I highly recommend when visiting Chiang Mai! 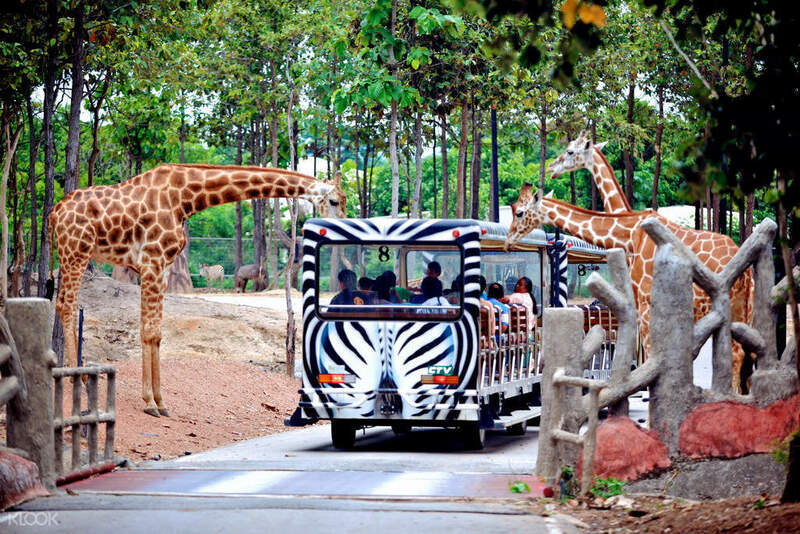 Especially unforgettable is the tram ride where animals including deer, giraffes, and zebras come right up to you. It’s truly unlike any other zoo I’ve visited before. A great zoo and experience that I highly recommend when visiting Chiang Mai! Especially unforgettable is the tram ride where animals including deer, giraffes, and zebras come right up to you. It’s truly unlike any other zoo I’ve visited before. amazing!!! giraffes are soooooo cute. service very nice. we were picked up at 3pm went back at 7pm. guides everywhere in English. no problem to explore the safari. amazing!!! giraffes are soooooo cute. service very nice. we were picked up at 3pm went back at 7pm. guides everywhere in English. no problem to explore the safari.